One more hurdle has been taken. The USCIS has approved our L1 visa. It took a lot of preparation, an XPS USA office , a bankaccount with $$$, a US lawyer in Chicago and a huge pile of paperwork to get this far but we succeeded. The next step in an interview with the US consulate in Amsterdam. Things have changed a lot since my previous visa application in 1999 when I worked for Xerox Corp. Sept. 11th. 2001 has probably made it much more complicated to enter the US. 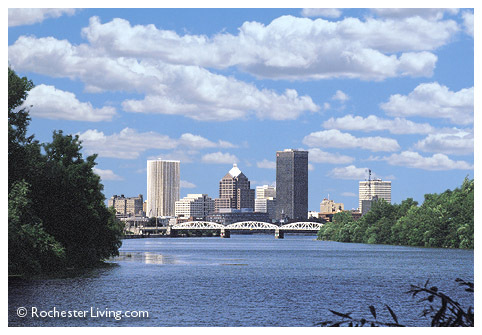 The downtown Rochester NY Skyline. 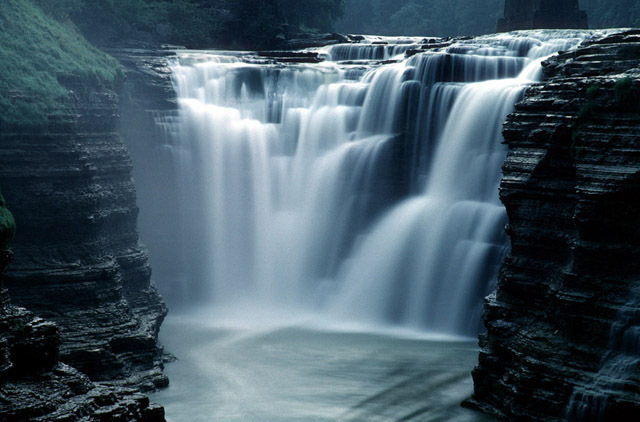 Some people don't realize how beautiful the Rochester area actually is. 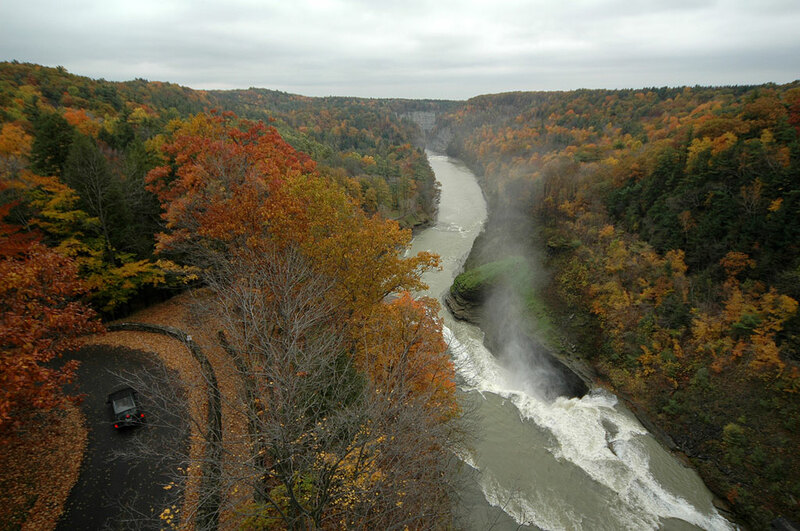 Below are some pictures of the very beautiful and quiet Letchworth State Park which is located very near to Rochester. 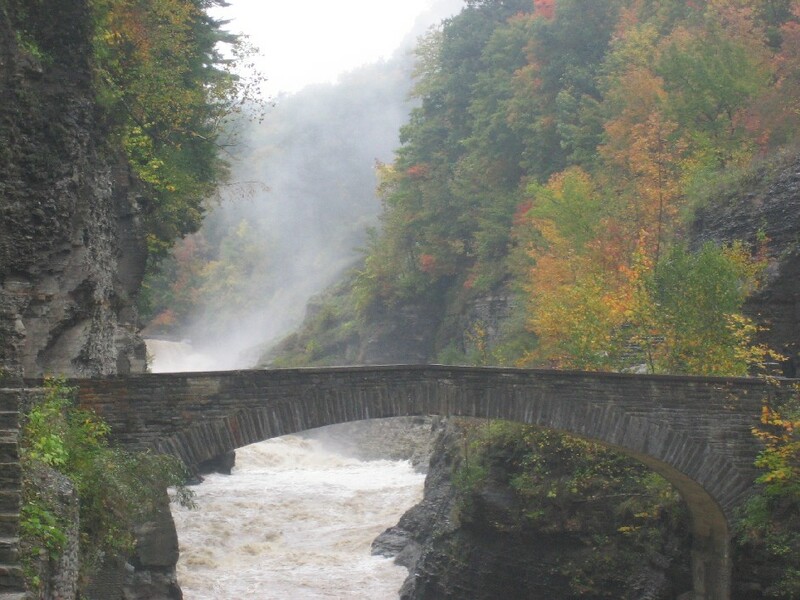 But besides this park there are many more very beautiful area's like the Finger Lakes area and a little further the Adirondacks. 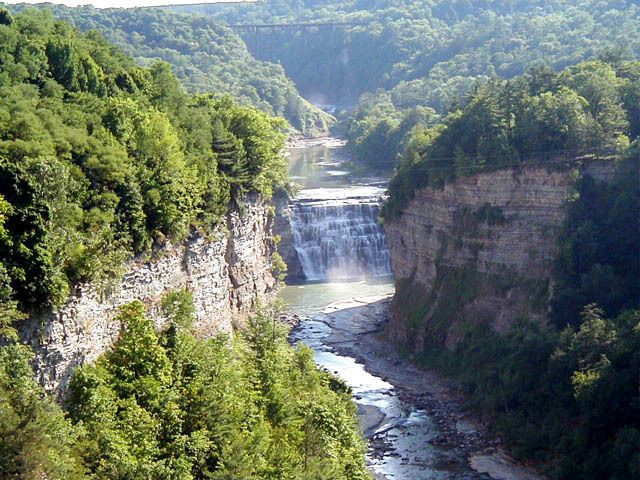 Suzanne and I are in Rochester NY at this moment to prepare everything for our move. Heavy snow in the Rochester area as you can see but we both love it. Below is a picture of Webster on the Lake. You can see the frozen lake Ontario in the background. Ice fishing is very popular here. I have no idea why, I have not discovered the secret of icefishing yet I guess. We finally had a chance to actually see our new apartment. We weren't disappointed since it is even more beautiful than we had seen on the pictures from Ralph and Susie (the house owners). This is the magnificant view from our new apartment. Canada is 35 miles on the other side of the lake. These houses are right next door to our new place in Pultneyville. On the left side a restaurant for fine dining.